Why are decorating ideas for your child's room important? Hello and Welcome to 'This Decor Mom'. You must have heard time and again that your home should be a reflection of your personality. By that extension, don't you agree that your child's room should reflect their personality? It should be a place that showcases their likes, their favorites and their potential. HAVE A HOME PROJECT IN MIND BUT DON'T KNOW WHERE TO START? 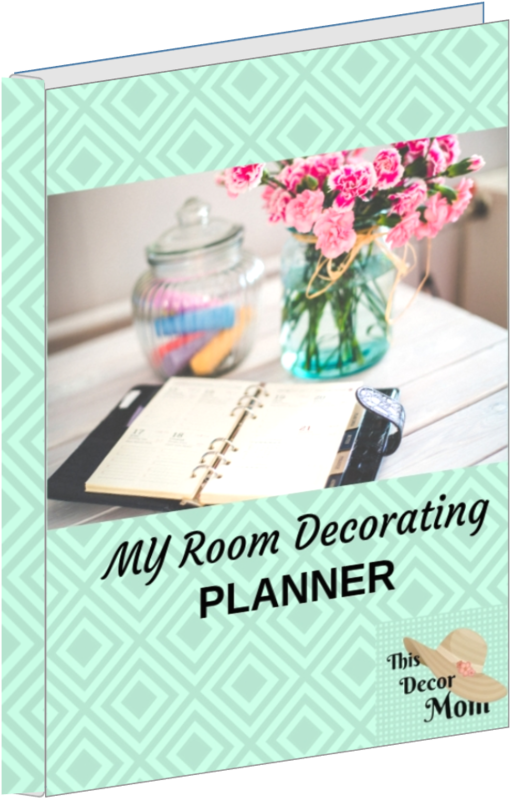 This free downloadable 'My Room Decorating Planner' is like having your personal interior designer sitting right beside you. This great tool can be used and re-used time and again for any room in your home. 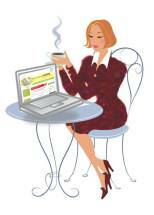 It will keep you on track while avoiding the overwhelm! Subscribe below and the Planner will be delivered to you in your Inbox. I understand that you will use my information to send me a newsletter as well as to access all the free resources. 1>> A Feeling of Ownership: Your child feels that he/she has their own special place. It is a space that completely belongs to them; where they can be free to be themselves. 2>> An Expression of Their Identity: Figuring out how they want to decorate their room, helps them define and identify their personal style. As they grow, their styles will change and grow along with them. This can be an exciting journey for both you and your child. 3>> Pride = Clean Room: When they have a place to call their own, they will take pains to keep it clean and organized. Do I hear a loud 'yessss' from you? 4>> Their Opinions Matter: It is a positive way to make your child feel that their opinions are important and are taken into account. That this is their home too and they have a say in what goes. 5>> You Better Understand Them: It is true that parenting comes with no manual. Decorating their room with them is a way to bond with them and help you better understand them. This goes a long way in maintaining a loving and positive relationship. 6>> Discover Their Full Potential: Decorating a room may sometimes feel like a frivolous and unnecessary act. But the truth is that this can actually work like therapy, allowing your child to unleash their full potential. Whether your child is high energy with boundless enthusiasm or shy and retiring, a room that speaks to them allows them to accept themselves and to be their best versions. 7>> Keeps Them Safe: You might not have considered this when thinking about decorating their room. When you decorate with your little one in mind, you will realize many different safety issues you need to deal with. Loose cords, unblocked electrical outlets, wobbly lamps or dressers will all be taken care of. All because you put in some thought in decorating your kids room. 8>> Ensures Enough Storage: Since you are on this website, you already know what I am talking about. A well thought out and intelligently decorated room will ensure that not only does your child have enough storage, but is within easy reach so he can clean it up himself. "Once upon a time, in a land far, far away..."
Words of fantasy and mystique that conjure places and beings as fantastic and wild as your imagination. Looking at the world through a child's eyes is like watching a little slice of heaven. A tiny squiggle is magically transformed into a Masterpiece. A mismatched pair of socks becomes a personality statement. A gap-toothed smiling picture is an adorable keepsake. The imagination of our children is pure and absolute. A big block of Legos is a birthday cake. An empty cardboard box is an adventure-filled pirate ship. The living room suddenly transforms into green meadows with gentle breezes as your daughter lays out her picnic basket. Our attempts to decorate kids bedrooms are simply a gesture to capture these magical moments. Let us delve right into this amazing world of Children's Room Decorating. The website is divided into groups based on Themes, based on Rooms, based on Design Elements (furniture, paint etc). You also have plenty of ways to interact with me as well as with other parents through the Community pages and social media. Here are some quick links to help you along the way. 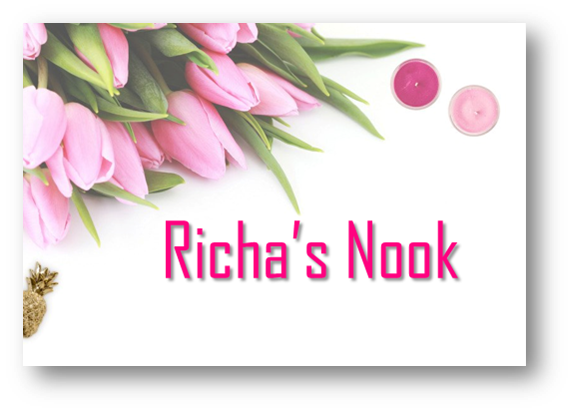 So, kick off your stilettos, drape your creative shawl across your shoulders, grab a hot cup of cocoa...and browse this site.